A recent submission to Blue Elephant Storyshaping has got me thinking again about rhyme . . .
People frequently ask: is it OK for a picture book to be written in rhyme? Editors usually shudder and say that unless you are really good at writing rhyme, you should give it a miss. One of the main reasons is that rhyme is difficult to translate. In a market that is increasingly feeling the pinch and where publishers need to build up a print-run of co-editions in various languages to make publishing a new book financially viable, rhyme can be an instant turn-off. Another reason is that many rhyming texts submitted are poorly-written with rhymes inserted for convenience rather than to further the story. Plus if the rhythm is off, it’s a huge turn-off and your manuscript goes straight to the rejection pile. Books in prose by far outnumber those written in rhyme, including many award-winners. So, what makes a rhyming book one that children ask for again and again? The answer is simple: these are the books where the story comes first. Anyone can rhyme ‘mouse’ with ‘house’ . . . But do you have a gift for writing in rhyme or are you in the shallow end of the literary pool with arm bands? 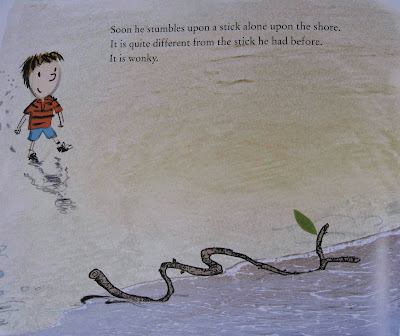 In picture books, it is important to try to keep the imagery and words child-centred. The gift of a fan is probably not the most obvious one for a small child. Would the author have chosen a ‘fan’ made from a ‘feather’ if it weren’t for trying to find something to rhyme with ‘ever’? The association of the mouse with cheese is logical in English, but ‘keys’ and ‘cheese’, though they rhyme, are completely random objects that would be depicted in the picture, yet not really be very logical in Spanish, for instance. Forced rhymes will ruin a story. This author has used a rhyme in the first stanza to set up the story, but chose ‘toy train’ to rhyme with the name ‘Zain’. The problem is . . . there is no mention later in the story of the toy train! If the book were narrated in prose, the voice would shout something like, “Look out, the boat is about to crash!” Would the author have chosen the word ‘gale’ if she weren’t trying to rhyme with ‘sail’? Because the author is trying to make a rhyme, the voice comes across as distant and a bit too self-aware for a pre-schooler. Remember, though short, in a picture book, each word needs to be intentional! The rhymes in these examples do not further the story. Yes, it’s heaps of fun – when it’s done right! The classic example of an internationally bestselling book in rhyme is, of course, The Gruffalo by Julia Donaldson and Axel Sheffler. 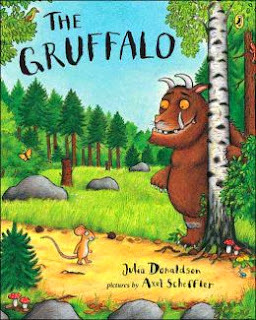 Though Julia Donaldson admits that she chose the name ‘Gruffalo’ for its rhyme, the important thing to note about the book is that it tells a gripping, original story. The rhythm of the tale is constructed beautifully in classic picture book style. Each time, the Gruffalo’s characteristics are slightly different and scarier. This pattern continues with the mouse meeting an owl and a snake. The author follows the classic picture book ‘rule of 3’s’ in which three things happen before the turning point. 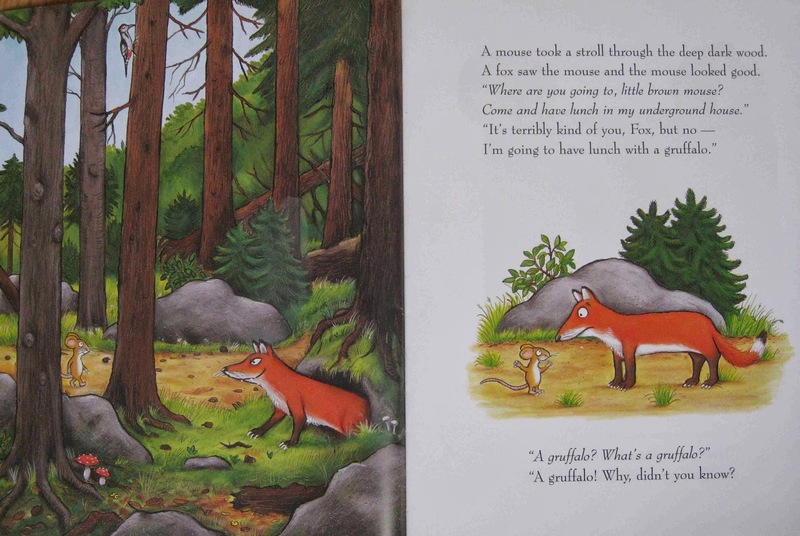 The denouement follows in reverse order, with the Gruffalo meeting the owl, the snake and then the fox. For young readers, the delight of the story comes, of course, from being in the know that the tiny mouse is cleverly tricking everyone! Importantly, the ending is so very satisfying after the excitement of the narrative. 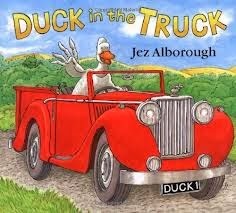 Another series written in rhyme that I just love, is the Duck series by Jez Alborough. This author is a master of using clever rhyme to further the story. Pre-schoolers also love Duck and his friends’ adventures because they are so funny! First, the protagonist gets into a tricky situation . . .
“This is the Duck driving home in a truck. This is the track which is taking him back.
. . . things get worse (the truck remains stuck despite Sheep and Frog trying to help push it out). Then Goat arrives . . .
(Arguably, the ‘motorboat’ is a random choice to rhyme with ‘goat’ but, importantly, it works to advance the plot since Goat’s rope is what helps pull the truck out of the muck. In future stories, the Goat’s motorboat is central to the narrative.) Plus this memorable turn of phrase stays with you after multiple readings. There is a clear turning point . . .
. . . and finally everything is resolved. Ha, ha! The helpers are now stuck in the muck, an irony that won’t be lost on pre-school audiences! “Stanley hurls his stick into the wide tide. The word choices sometimes seem a little sophisticated for pre-schoolers, yet, the lilting read-aloud qualities of this kind of writing are a great invitation for learning new phrases. Each word is carefully measured. 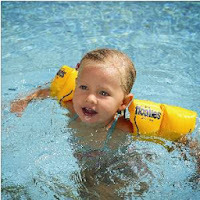 “Soon he stumbles upon a stick alone upon the shore. It is quite different from the stick he had before. The stick is an unusual saxophone. It’s another way to think about telling a story using rhyme. So, there we have three examples of how it can work. Sure, you can learn the mechanics of writing in rhyme, but will you produce a must-have book? The market is flooded with rhyming picture books that are just ‘OK’. They sell and they are read, but are they memorable? Do they have a compelling and strong story that pre-schoolers beg for again and again? Should you write in rhyme? If you have the gift . . . yes! Blue Elephant Storyshaping is a coaching service aimed at empowering writers and illustrators to fine-tune their work pre-submission. 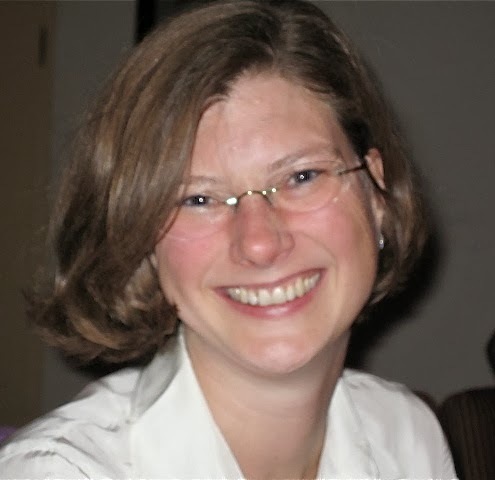 Natascha is also the author of Elephants Never Forget and Is This My Nose?, editor of numerous award-winning children’s books, and Regional Advisor (Chair) of SCBWI British Isles. Great post, Natascha. And excellent examples. When it's done well, as by Julia Donaldson, Jeanne Willis etc, rhyme and picture book are made for each other. I'm glad you included the John Hegley (which I didn't know), because for me it's rhythm, internal ryhme, and having fun with words as a way of making the language and storytelling fresh and entertaining that's paramount. If it's got to rhyme, it's got to rhyme, but most importantly, it's got to be a joy to read aloud. Lovely post, Natascha. Rhyme is such a joy to write, and, yes - when it works it's a joy to read, too! 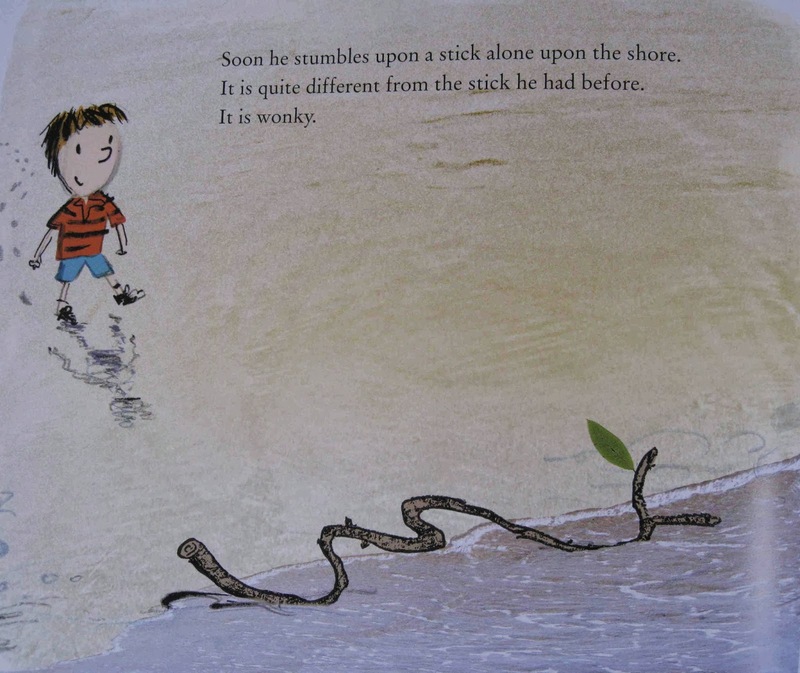 excellent and much needed post on rhyming picture books, thanks Natascha. John Hegley is a perfect example - being a performer, songwriter and poet and picture book writer is a gift! I haven't seen Stanley's Stick before - such joy in it. As for The Gruffalo - that's my bestest, don't you know? Having absorbed editors received wisdom over the years concerning not using rhyme, for all the reasons you mention, it has somehow gone off my creative radar. I don't even think about trying it. A shame, coz I like rhyme. My first book was book of nonsense poems. . You are right though, it has to be very good to work in a picture book, and when it does it is a wonderful added extra. Like a story with built in happy music. 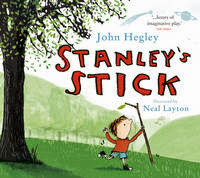 Excellent, and I love Stanley's Stick - I hope it becomes more widely known. You don't mention rhythm, though. In some of the (often awful) rhyming picture book texts I've seen there are two other major faults. One is frequently rhyming on unimportant words. The other is having no sense of prosody. 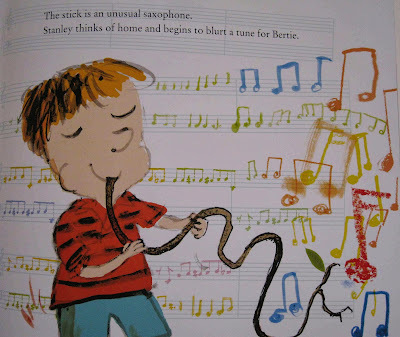 If you want to write a rhyming picture book, learn about rhythm and stresses. Are you writing iambics? Do you know why they work? Do you even know what they are? Some people have a natural ear for rhythm, but so many people don't. Learn about it! No one would expect to work as a carpenter without finding out what the tools are and what they are for. Brilliant post! Interestingly, I was warned by numerous writers that editors hated rhyme. Being the stubborn old git that I am, I blithely ignored them (while trying to write in prose, but I just can't do it). The result being that I've sold 8 picture books since signing up with my agent last December, all of them in rhyme. It can be done. Great post Natascha, thank you! Yes, rhyme is beautiful when it sings. Love your choice of examples - thanks for inspiring us Natascha! I agree. An outstanding post! Thank you. Fab post - have directed my story book students to it. Great thoughtful post, Natascha. I like the accessible way you discuss the choice of words from the angle of being appropriate and moving the story along. The 'feather' and 'keys' examples have stuck in my mind and even though I don't write rhyming texts, I'm going to take a look at some rhyming books and think about the choice of rhyming words. Thanks!